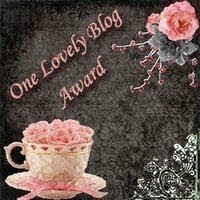 This is my very first blog award, and I'm ecstatic! Just Married With Coupons. Thank you both so much. 1) Post this award on your blog along with the name of the person who presented you with the award, and a link to their blog. 2) Pay it forward to 15 other bloggers that you enjoy or have newly discovered. 3) Contact the blog owners and let them know they have been chosen to receive this award. 13) Miss C. @ Life As I See It! Wow! I am honored to be one of your 15 picks. Thanks so much!!!! Thank you so much!!! This is my very first award. I feel so blessed to have great friends through the blogging world. Is their a Link/Code to be able to add the button to my blog? Thanks! I have seen this award going around the blogosphere, and I am so honored to receive it! There is no link or code. Just click the Blog Award photo at the top and save it. Thank you! I am happy to have discovered your blog too :) I can't wait to check out some of the other winners' blogs!